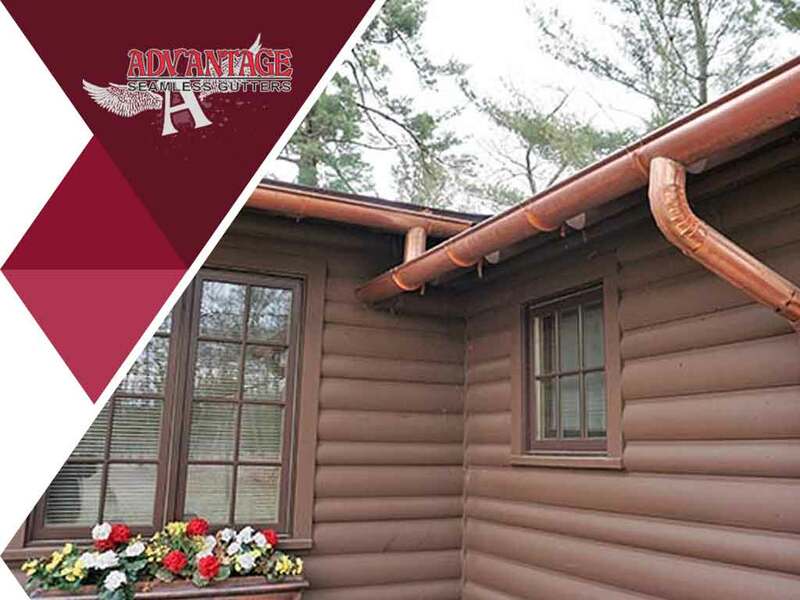 Optimally performing gutters are crucial not only for maintaining proper rainwater management, but also for protecting the structural integrity of your home. In today’s post, your local gutter company, Advantage Seamless Gutters, sheds light on the hazards of faulty gutters. The primary function of a gutter system is to direct rainwater away from your home via a downspout and into a drain. Left unchecked, a faulty gutter will not only produce leaks but will also weaken your home’s foundation. Keep in mind that rainwater should be discharged at least 4 feet away from your residential property. A clogged gutter will not be able to divert water away from your roof and home. Instead, the water will just spill onto the ground. When water pools on the ground, it can saturate and compromise the soil around your home. These pools lead to puddles of mud and cracks in your home’s foundation. More water can enter through these cracks, resulting in mold growth and flooded basements. In any case, addressing gutter problems can help prevent these damages from affecting your home. You may consult your local gutter installers regarding the best type of gutters for your property. Apart from foundational issues, faulty gutters can also lead to infestation problems. Accumulated debris in your gutters can serve as a breeding ground for various pests, birds and insects. These infestations pose health hazards to you and your family. Not to mention, your fascia may suffer due to the added weight of your clogged gutters. Standing water is detrimental to fascia boards, especially those made from wood. Gutters play an important role in your home’s overall performance, which is why it’s important to invest in an efficient and properly installed gutter system. You can also hire a reputable gutters replacement service provider to ensure the job is done right the first time. Turn to Advantage Seamless Gutters for exceptional gutter products and services. You can contact us at (218) 212-1818. We serve Baxter and Brainerd, MN. As well as all of Central MN. Advantage Seamless Gutters © 2019 All Rights Reserved.